Mr KNOW picks up a glass bottle to drink water. Just then he gets shocked! There are stubborn stains inside the bottle. Washing and rubbing don't help get those stains off. 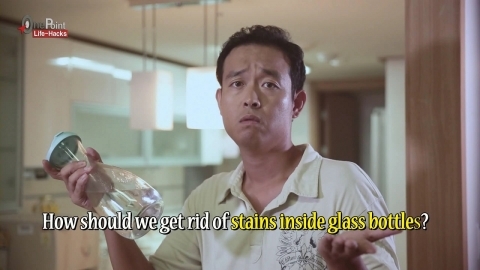 How should we get rid of stains inside glass bottles? Using coarse salt or crushed egg shells is effective.